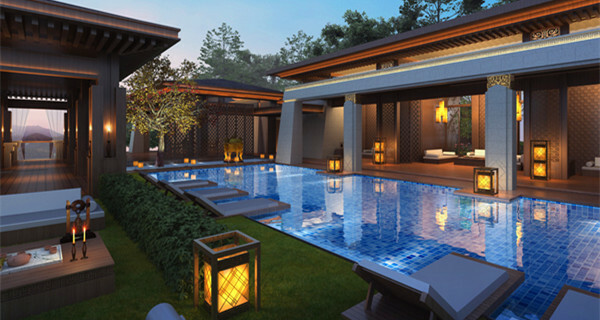 Chongqing’s hot springs are world-class tourist destinations. The only city that can compare to Chongqing’s Hot Springs Resorts is Budapest, which is known as “the City of Hot Springs”. Chongqing has a long history of hot spring development that dates back to A.D. 423, nearly 1600 years ago. Chongqing is described as having "hot springs in every canyon and every mountain, with rich reservation, good quality, vast area and various shapes. They are relatively concentrated, and provide sustainable use." Chongqing has developed 84,900 m3 m3 of Hot Springs, which accounts for only one fifth of the reservation. 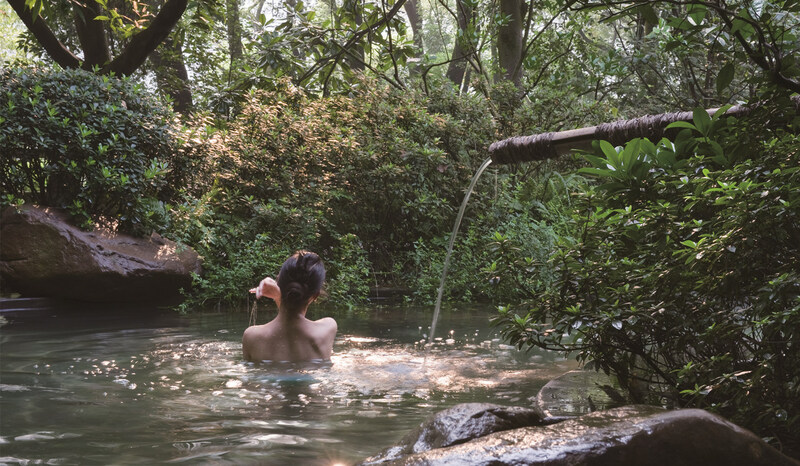 Relying on the rich natural hot spring resources, Chongqing’s municipal government has implemented a strategic decision, making the hot spring one of the four MingPian(key attractions) of Chongqing. Here, we would like list some most popular Hot Springs for you. 240 RMB/person(includes access to 26 outdoor spa pools, snacks and drinks, and the Steam Spa) Children under 1.2m are 50% off. Rong Hui Hot Spring, located in the downtown area, has a total area of 30,000 m2. 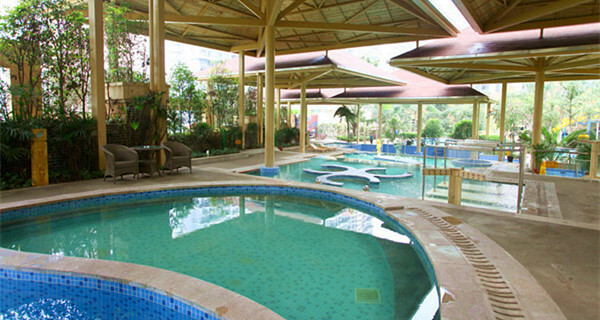 It features open-air hot springs, an indoor SPA, a hot spring water park, and water therapy. Commercial streets and five-star hotels are located near the Hot Spring. The spring water originates 1,800 meters underground and the springs are rich in ten kinds of natural minerals, including pure magnesium sulfate, calcium sulfate, and others, which have great value in medical treatment, health and cosmetology. The resort is spacious, with abundant vegetation. The indoor spa is more than 3,000m2, has and features a variety of spa and massage facilities, including both wet and dry steam rooms, aromatherapy rooms, billiards, table tennis, physical therapy, lounge rooms, and more. There is also a 1.4 m deep swimming pool which is fed from the underground hot spring. The outdoor hot spring area is more than 10 thousand m2. It features dozens of pools of different sizes and types. 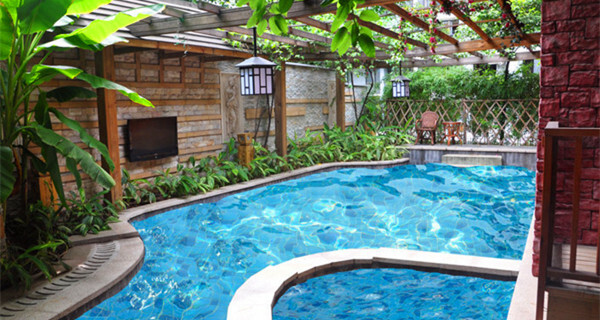 There are traditional Chinese medicine pools, essential oils pools, rose petal pools, red wine pools, and more. The outdoor area takes more than half an hour just to go around to see every pool. 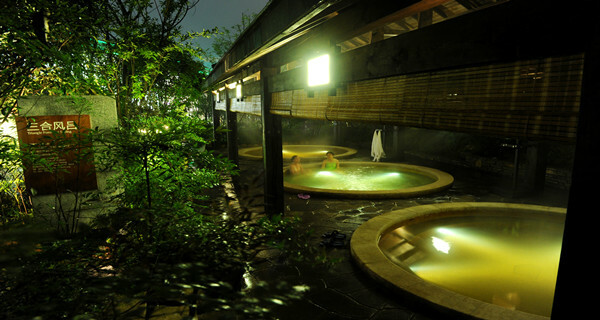 The outdoor hot spring area is on a lush, tree-covered hill, which covers over ten thousand m2. The hot spring water vapor floating in the trees and mountains provide visitors with the distinctive feeling of the hot springs culture. Additionally, some corridors between the pools are full of little fish. When you walk through these corridors, the fish eat the dead skin on your feet. Rong Hui also boasts an eight thousand square meter dynamic water park with a water maze, a high-speed ramp, and a surfing pond. The surfing pond makes waves every day at 3:00, 5:00, 7:00, and 9:00 PM, allowing visitors an opportunity to surf. It is very exciting. Access to all of the above facilities is included in the ticket price as well as fruit, drinking water, shampoo, and three bath towels. Taking a taxi or Uber is highly recommended. Hai Tang Xiao Yue Hot Spring is located at the original site of Haitangyanyu, which is one of the twelve Bayu scenes. The water comes from 3,000 meters underground, and is rich in calcium sulfate and magnesium sulfate. Featuring 52 natural hot springs pools, the Hot Spring also features the Yangtze river to the north, and Nanshan to the south. It is a short 5-minute-walk from Nanbin Road to Hai Tang Xiao Yue. The hot spring here boasts a beautiful environment, convenient transportation, and a good view of Jiefangbei across the Yangtze River. Hot springs Spa Experience Area: designed to preserve one's health using a combination of hot spring water and modern, advanced spa equipment to provide hot spring health physiotherapy. Cave Hot Spring Health Preservation Area: designed in a natural karst cave environment. Children and Family Entertainment and Play Area : to meet the needs of the family and children.